It was 45 years ago that Neil Armstrong took the small step onto the surface of the moon that changed the course of history. The years that followed saw a Space Age of scientific, technological and human research, on which we have built the modern era. 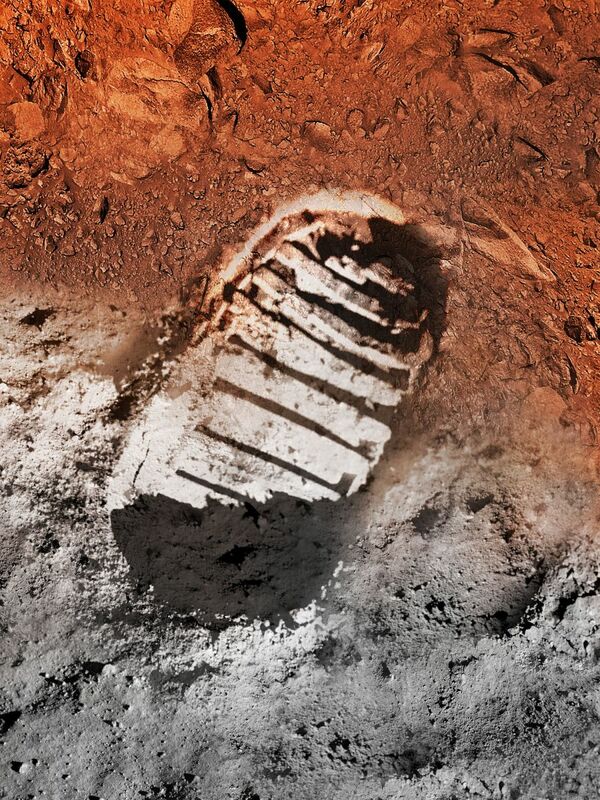 We stand on a new horizon, poised to take the next giant leap—deeper into the solar system. The Apollo missions blazed a path for human exploration to the moon and today we are extending that path to near-Earth asteroids, Mars and beyond. Technology drives exploration and we’re building on the Apollo program’s accomplishments to test and fly transformative, cutting-edge technologies today for tomorrow’s missions. As we develop and test the new tools of 21st century spaceflight on the Journey to Mars, we once again will change the course of history. The Path to Mars begins with research on Earth and extends beyond its bounds, aboard the orbiting laboratory of the International Space Station, with our international partners. Some 250 miles above our heads, astronauts are conducting hundreds of experiments not possible on Earth, teaching us how humans can live, work and thrive for longer periods in space. On the 45th Anniversary of Apollo 11’s return to Earth, actor Seth Green moderated a Comic-Con panel with Apollo 11 astronaut Buzz Aldrin, Planetary Division Director Jim Green, NASA astronaut Mike Fincke and NASA Jet Propulsion Laboratory Systems Engineer Bobak Ferdowsi. To help this nation send humans to deep space and return them to Earth safely, engineers across the country are developing a new space transportation capability, destined to travel far beyond our home planet. The Orion spacecraft and Space Launch System (SLS) heavy-lift rocket will be the most advanced space vehicles ever built. Together, they will take us farther into the solar system than humans have ever traveled. They are our spaceship to Mars and beyond. As we build on the lessons of the space station and turn our eyes toward Mars, we are designing missions to take us to a “proving ground” around the moon called cis-lunar space, where some of the very building blocks of the solar system can be explored. Near-Earth asteroids provide a unique opportunity to test the new technologies and capabilities we need for future human missions to Mars. Around 2019, we’ll launch a robotic mission to rendezvous with a near-Earth asteroid. The spacecraft either will capture an asteroid in its entirety or retrieve a boulder off of a much larger asteroid, then redirect the asteroid mass to a stable orbit around the moon. In the mid 2020s, astronauts aboard the Orion spacecraft, launched by SLS, will explore that asteroid and return to Earth with samples. The new technologies we test through the Asteroid Redirect Mission, and the new human spaceflight capabilities we prove by sending astronauts to study the asteroid, will make important advances to safely send humans to Mars. This includes tools like Solar Electric Propulsion, a highly efficient way to help us transport large objects and heavy cargo to support future Mars missions. NASA will continue to make significant investments in new technologies vital to achieving exploration goals. This includes advancements in entry, descent and landing technologies such as Low Density Supersonic Decelerators. Sending humans to deep space around the moon also will help advance techniques for space operations on and around Mars and its moons. The space around our moon is different than low-Earth orbit but very similar to what an Orion spacecraft will experience on the trip to and from Mars. For instance, solar and cosmic radiation is intense. We also can use cis-lunar space to begin practicing activities in deep space, like spacewalks, and learn to cope with delays in communication with Earth because of the distance. Mars beckons us to explore. Missions to Mars could answer some of the fundamental questions of humanity: Does life exist beyond Earth? Could humans live on Mars in the future? The journey to answer these questions has risks, but the rewards for humanity are worth it. Meeting the remaining challenges ahead of us to send humans to Mars will take the ingenuity and innovation of the entire nation and our international partners. This next decade of exploration will be an exciting time of rapid technological development and testing. In December 2014, we’ll conduct the first test flight of Orion. In 2015, the New Horizons Mission will fly by Pluto and see the icy world up close for the first time. 2016 will see launches of two other Mars missions, InSight and the European Space Agency’s ExoMars Trace Gas Orbiter, as well as asteroid sample return mission OSIRIS-REx. By the end of 2017, U.S. commercial companies will begin launching astronauts from U.S. soil to the space station. In Fiscal Year 2018, we’ll fly SLS and Orion together on a test mission to a stable orbit around the moon called a “Distant Retrograde Orbit” (DRO), where astronauts will explore a relocated asteroid in the 2020s. In 2018, Hubble’s successor, the James Webb Space Telescope, will extend our senses farther into space and time, to see light from the universe’s first stars. In about 2019, we’ll launch the robotic spacecraft to capture and redirect an asteroid. In 2020, we’ll send a new rover to Mars, to follow in the footsteps of Curiosity, search for evidence of life, and pave the way for future human explorers. In 2021, SLS and Orion will launch humans on the first crewed mission of the combined system. In the mid-2020s, astronauts will explore an asteroid redirected to DRO around the moon, and return home with samples that could hold clues to the origins of the solar system and life on Earth. In doing so, those astronauts will travel farther into the solar system than anyone has ever been.